Mostly sunny. High near 70F. Winds NNE at 5 to 10 mph..
A few clouds. Low 46F. Winds NW at 10 to 20 mph. 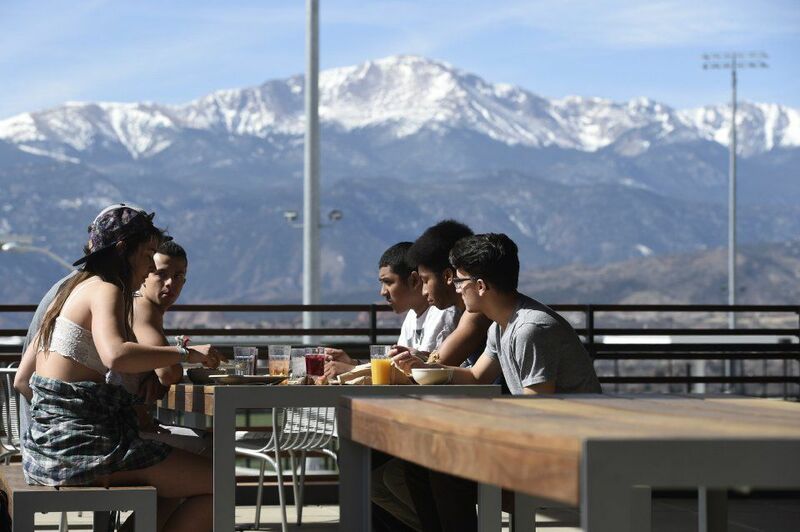 The rest of the nation has caught on to what local residents have known for years: Colorado Springs is a great place for young adults to live. Millennials are moving to Colorado Springs at a higher rate than anywhere else in the country, a newly-released study shows. Though many believe Colorado Springs can’t attract — or keep — millennials, that hasn’t been true for years, said Dirk Draper, president of the Colorado Springs Chamber and Economic Development Corporation. “I think we’ve kind of hit a sweet spot for folks in that age group,” Draper said. The city boasts job opportunities in growing industries — including technology and cybersecurity — as well as relatively affordable living and “a good quality of life,” he said. The city’s millennial population increased by 14.7 percent from 2010 to 2015, according to the study from Brookings Institution’s Metropolitan Policy Program. The millennial generation in the United States is made up of more than 75 million people born from 1981 through 1997, the study says. San Antonio trailed Colorado Springs with a 14.4 percent increase, and Denver placed third with a 12.8 percent increase. The 10 fastest-growing areas all were located in the South or West, the study says. In 2015, Colorado Springs’ population featured the sixth-highest proportion of millennials — 26.4 percent — behind Provo-Orem, Utah; Austin, Texas; San Diego; Virginia Beach, Va.; and Madison, Wis. The study looked at the nation’s 100 largest metropolitan areas. Among those who’ve decided to make Colorado Springs their home is Mariana Lara. The 25-year-old, who moved here from Tallahassee, Fla., in 2016, is pursuing a master’s in clinical mental health counseling at the University of Colorado in Colorado Springs. “A big part of why I chose the program was because of the city itself,” she said. She liked how beautiful the area is, the higher-than-average educational level and that the city’s size allows it to feel like a community. “I feel like I can connect with more people here than in other places I’ve lived,” Lara said. 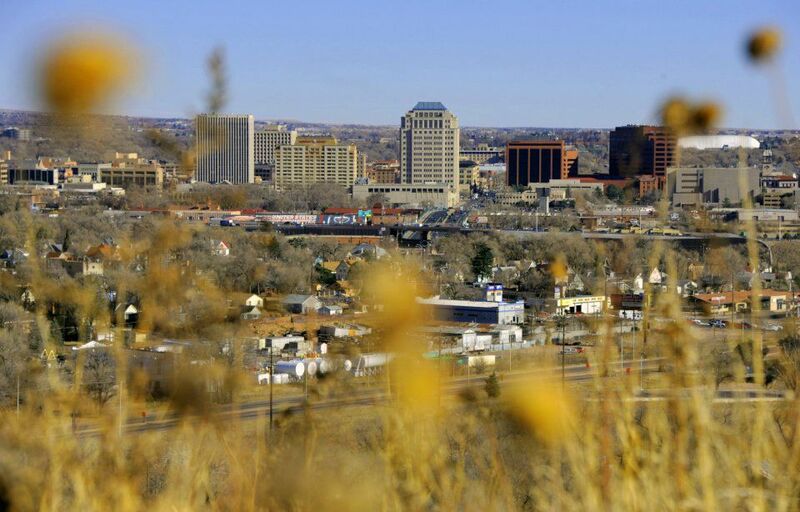 Nevertheless, the myth that millennials aren’t attracted to Colorado Springs persists, a holdover from years of local officials fretting over how to keep young people from leaving for better jobs and trendier cities. The growth in millennials could be due in part to Colorado Springs being a military town — that’s the prime age for joining the service, said Tom Binnings, a senior partner at Summit Economics, a local applied economics consulting firm. Colorado Springs’ population is growing across the board, he pointed out, so it’s not just millennials moving to the Pikes Peak region. Colorado Springs is gaining a reputation for having the quality of life that many millennials are seeking, he said. The city has a “bad rap” of political and religious conservatism that historically scared off some young people, Binnings acknowledged. The Brookings study analyzes racial and ethnic diversity, education, poverty, marital status and education level among millennials across the country. For more information, visit brookings.edu/research/millennials.